A dog walker was left stunned after he stumbled across a shark washed up on a British beach. Sean Hall, 49, was walking his pooch Dave when he noticed what he thought was a fish lying on the sand. 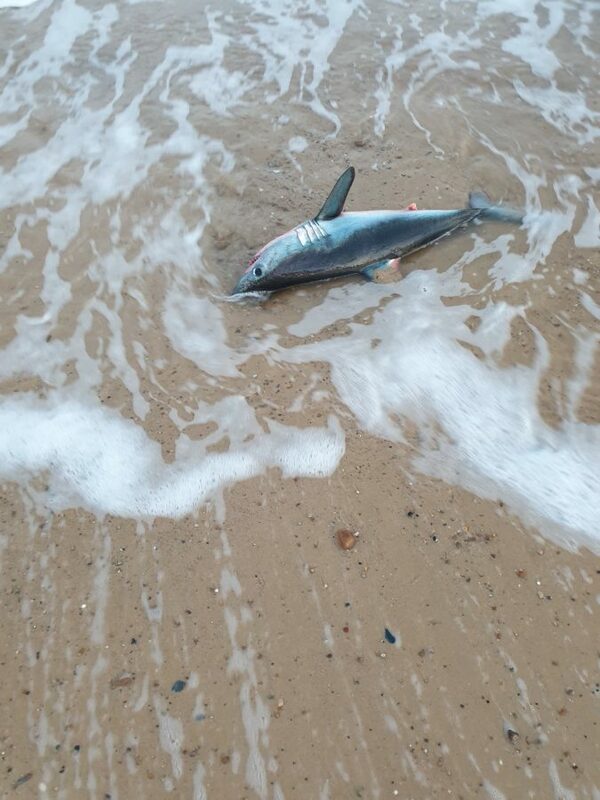 But on closer inspection Sean noticed it was a shark, which was no bigger than three foot, lying on Pakefield beach, in Lowestoft, Suffolk. 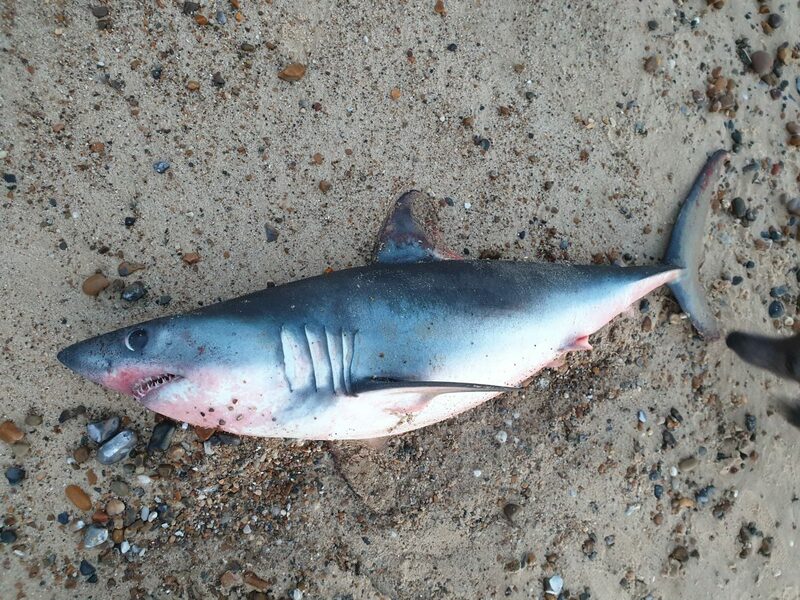 Sean, from Lowestoft described it as having jagged sharp teeth and black bulging eyes – and said experts believed it to be a porbeagle shark. He shared a picture of the shark on Facebook, writing: “OMG! I thought seeing a seal last week was rare, but I only just found a ruddy shark on the beach. Sean said he came across the shark at around 7.45pm on Friday. He added: “It was like a miniature version of Jaws, like a mini great white. “I was walking my whippet Dave along the shoreline on Pakefield beach last night, and he suddenly darted towards an unusual shape. Sean, who is a business manager for Suffolk County Council, said he decided to push the fish, which was dead, back into the water to save it from being eaten by dogs. He added: “My first thoughts were how sad, and if it had only just washed up whether I could I put it back in the water and it would miraculously swim away. “But ultimately I was more concerned about it being eaten by other dogs so I put it back in the water in the hope it would be washed away if the tide was going out. “You hear about these things where something is “found by a man out walking his dog” and it’s so true. “I walk along the beach twice a day and obviously there will be all kinds of stuff washed up, the ocean is a big place, but I thought sharks would be more likely in decidedly warmer waters. After posting the picture on his social media, Sean received over 200 comments and reactions, with many users suspecting it to be a porbeagle – a species of mackerel shark which are commonly found in the North Atlantic Ocean.